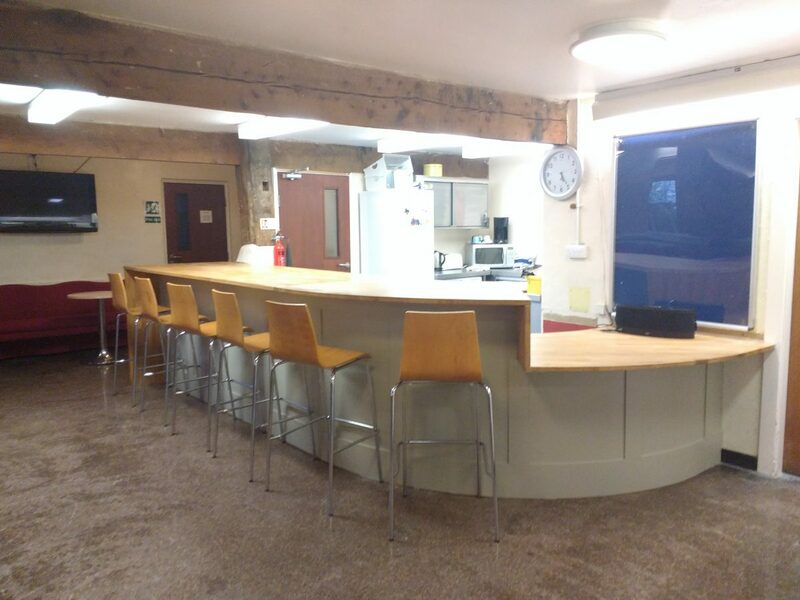 Yes it has taken a long time, in Bridge Project days, (we are used to being able to do things without referring to other people) but our kitchen bar is finally in the building and we are very excited to be unpacking all the stuff that we have had in the store room. In the end Dave Fincham who runs the building here, along with Tom from ‘Stronger Communities’, did a great job in getting the permissions for the bar to go in, and we are so grateful to them both. The guys Steve and Martin, from Tom Willoughby Building Contractors, who came to put the bar in were very precise and have done a great job in coping with the walls which are not always quite straight, not surprising in a 15 century barn. The kitchen bar was in in time for our Light Party on the 24th which was really significant as it was our first big event since the move. Sharon and a good time getting the food for the children ready using familiar things and it was good to see the youth team using the bar through out the day. We are now in a position to unpack and sort the remaining boxes from the move and Cyril our fabulous gap year volunteer is going to be busy with that in the coming days. We are beginning to sort out ways of getting ourselves known in the community and have hoodies and lanyards with name badges arriving imminently. We are also working on a vision leaflet which we are hoping to distribute to all the houses in Tadcaster and to many of the surrounding villages. People are very important to this project and we want them to know that we are here for them. So if you live in Tad, spread the word.